Unit 9 单元测试题Ⅳ. 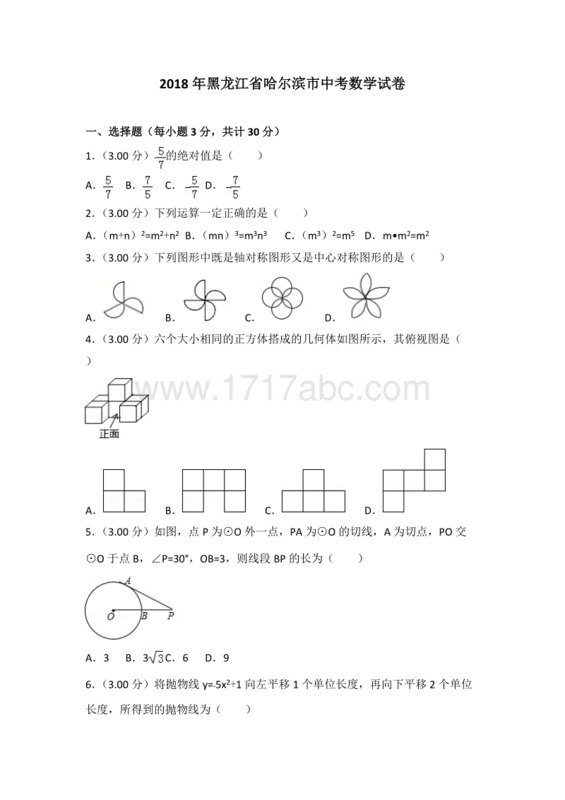 单项选择(每小题 1 分，共 10 分)从 A、B、C 、 D 四个选项中选择可以填入空白处的最佳答案。( )16. I need ______ hour to get to school from home. 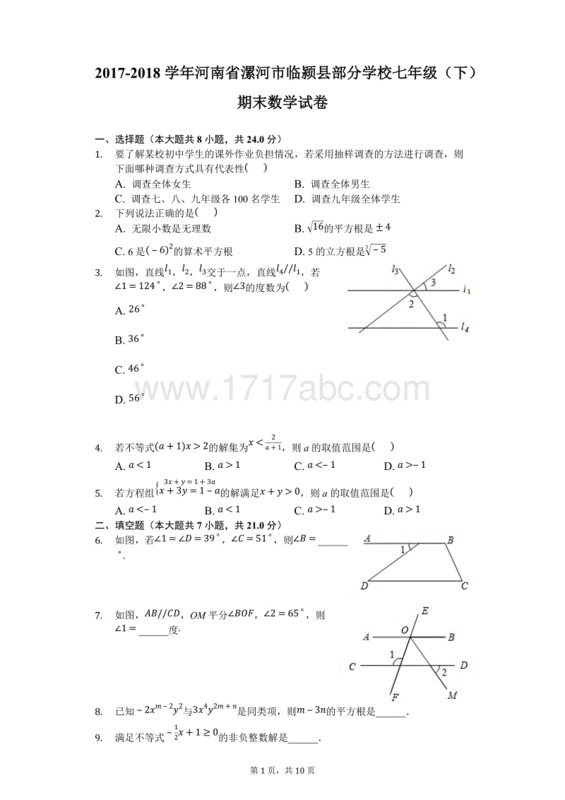 A. a B. an C. the D. 不填 ( )17. They’ll be in Beijing ______ two months. 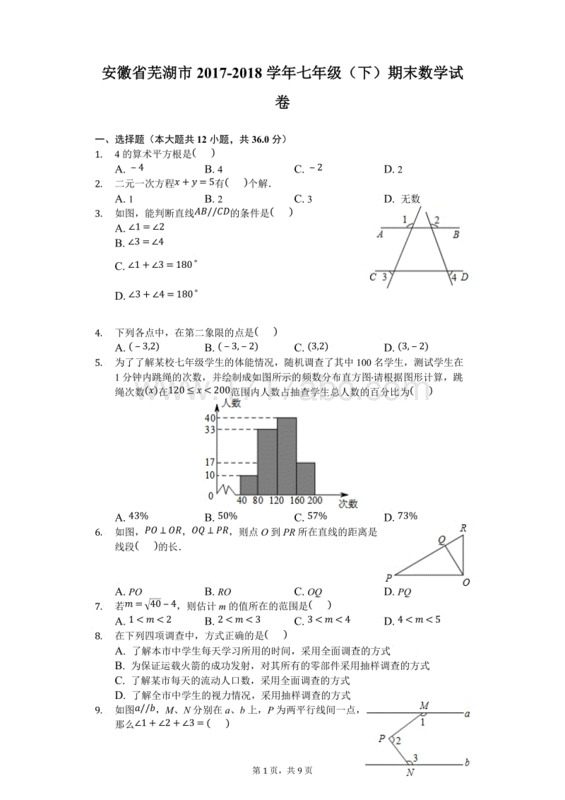 A. on B. at C. from D. for( )18. Jenny likes Tuesday ______ her favorite subject is on Tuesday. A. after B. but C. because D. so ( )19. Cindy doesn’t like history. She thinks it’s ______.A. difficult B. short C. interesting D. useful( )20. The old woman ______ great fun. We all like her. A. is B. does C. looks D. sounds ( )21. —Are you ______ now?—Sorry, I am very busy.A. happy B. fine C. fat D. free( )22. —What’s your sister’s favorite ______?—Brown.A. sport B. color C. book D. subject( )23. Kate ______ English and art on Friday afternoon. A. gets B. has C. get D. have ( )24. —_______ is the girl in the photo?—She is my cousin, Lily.A. Who B. What C. Where D. When( )25. —How’s your birthday party? —______. A. It’s on Tuesday B. I like Monday C. It’s OK D. I’m fine Ⅴ. 完形填空(每小题 1 分，共 10 分)先通读下面的短文，掌握其大意，然后从 A、B、 C、D 四个选项中选出可以填入空白处的最佳答案。 易读度 ★ Amy is 12 years old. She is a middle school 26 now. Today is her first day to go to school. She gets to school 27 7:30. She sees many boys and girls in the school. Amy 28 her classroom quickly (很快地). It’s on 29 floor (层). The class begins at 8:00. 30 old woman comes into the classroom. She 31 very nice. “Good morning, I’m Mrs. Green. I’m your 32 teacher. Our English classes are on Monday and Wednesday. I think you’ll 33 my classes,” says Mrs. Green. After the English class, Amy has science, math and music. Math is her 34 subject. In the afternoon, Amy has art and P.E. This is Amy’s first day at school. Do you remember (记得) 35 ? ( )26. A. student B. teacher C. classmate D. friend ( )27. A. in B. on C. at D. for ( )28. A. calls B. gets C. finds D. buys ( )29. A. two B. the two C. second D. the second ( )30. A. A B. An C. The D. 不填 ( )31. A. sees B. looks C. meets D. watches ( )32. 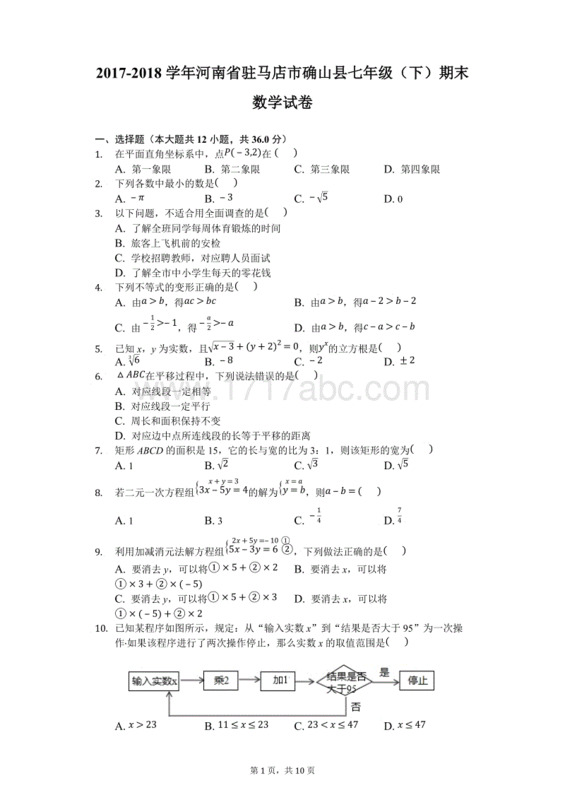 A. Chinese B. math C. art D. English ( )33. A. lose B. finish C. like D. do ( )34. A. first B. next C. favorite D. dear ( )35. A. mine B. yours C. his D. hers Ⅵ. 情景交际(每小题 1 分，共 5 分)根据对话内容，从方框中选择恰当的选项补全对话。A: Nice to meet you, Helen. B: (36)____________ A: Are you a student? B: Yes, I am. 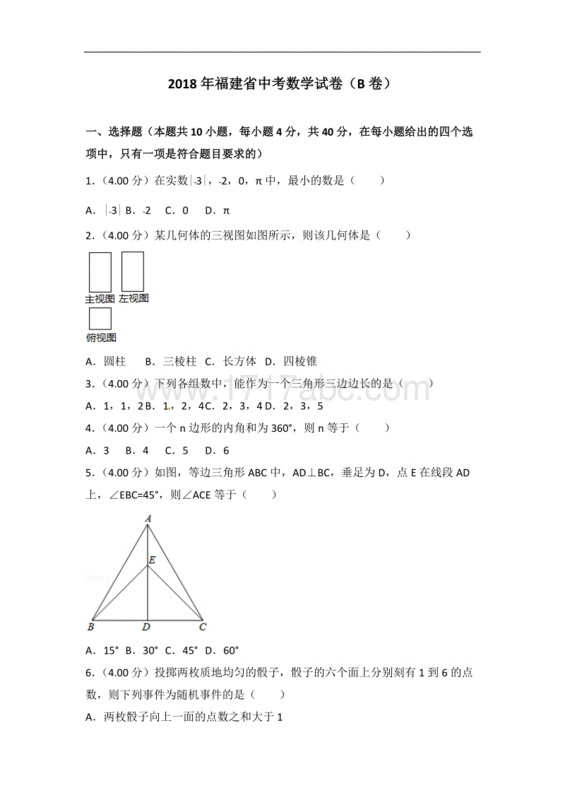 (37)____________ A: I’m a student, too. Do you like science? 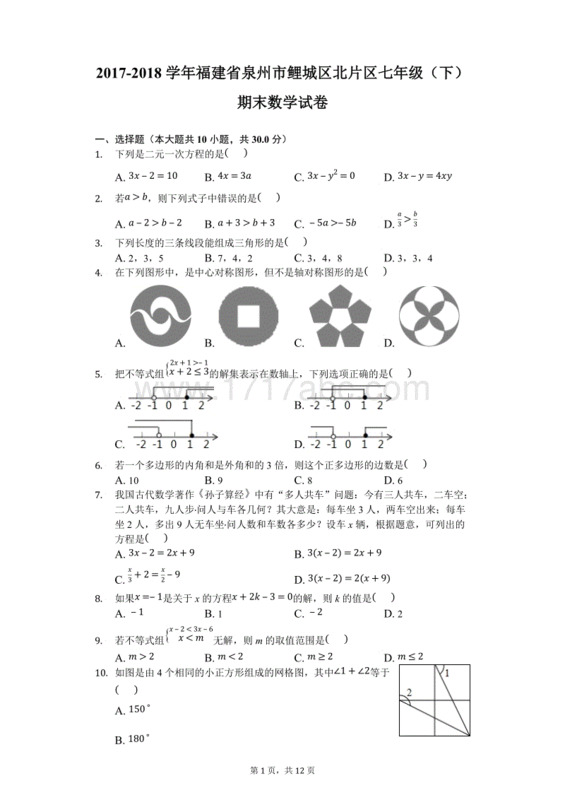 B: (38)____________ I like Chinese. 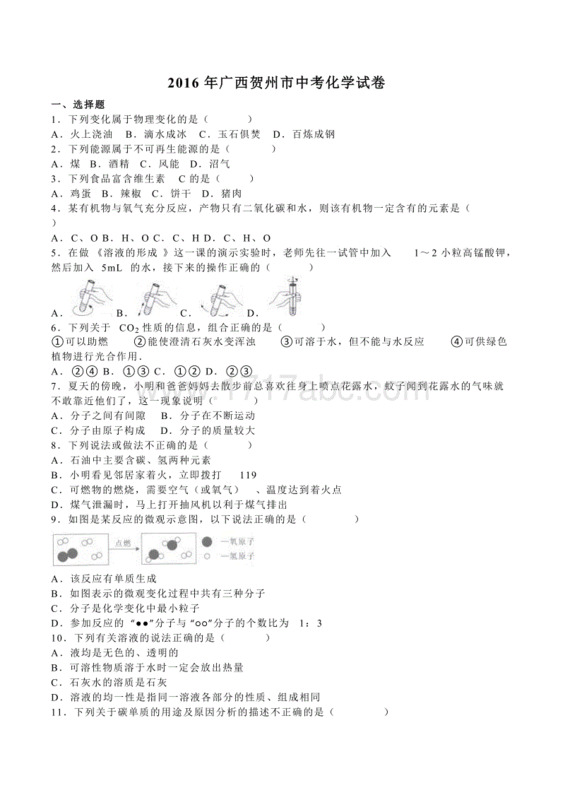 A: (39)____________B: Mr. Li. He is from China. He likes to talk (交谈) with us in Chinese. A: (40)____________ B: That’s for sure. I can teach you. A: That’s great. A. How about you?B. Then you can speak Chinese?C. Nice to meet you, too, Mary.D. Well, it’s difficult for me.E. Who is your Chinese teacher?Ⅶ. 阅读理解(每小题 2 分，共 20 分)A易读度 ★ Miss Green is a teacher. All her students like her very much. Today is February 1. In the morning, Miss Green gets two letters (信). The first letter is a birthday card. It’s from her student, Jack. The second letter is from Jack, too. It says, “Dear Miss Green, I’m sorry for the birthday card. Please don’t read the card until (直到) March 1.”根据材料内容判断正(T)误 (F)。( )41. Jack is Miss Green’s cousin. ( )42. The two letters are from Jack. ( )43. Jack doesn’t know when Miss Green’s birthday is. ( )44. Jack wants to take back (收回) the birthday card. ( )45. 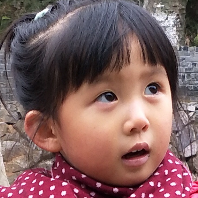 Miss Green’s birthday is on March 1.B易读度 ★★ Dear Liu Ying,I’m Lucy from Nanjing No. 1 Middle School. I am 12 years old and we are the same age (年龄 ). Now I want to tell you something about my school. I have lessons from Monday to Friday. We have P.E., music, Chinese, math and science on Monday. My favorite subject is science. I think it is interesting and useful. So Monday is my favorite day. Mr. Lin is my Chinese teacher. He is great fun and I like him very much. I like Chinese, too. I don’t like Friday, because I have math on that day and I think it is very boring. I have no time to play after school. I have much homework to do. How about you? Please e-mail me. Your friend,Lucy根据材料内容选择最佳答案。( )46. Lucy ______.A. is in China now B. is 13 years old C. likes P.E. very much D. has Chinese on Friday ( )47. Lucy likes science because ______.A. she has it on Monday B. her science teacher is niceC. 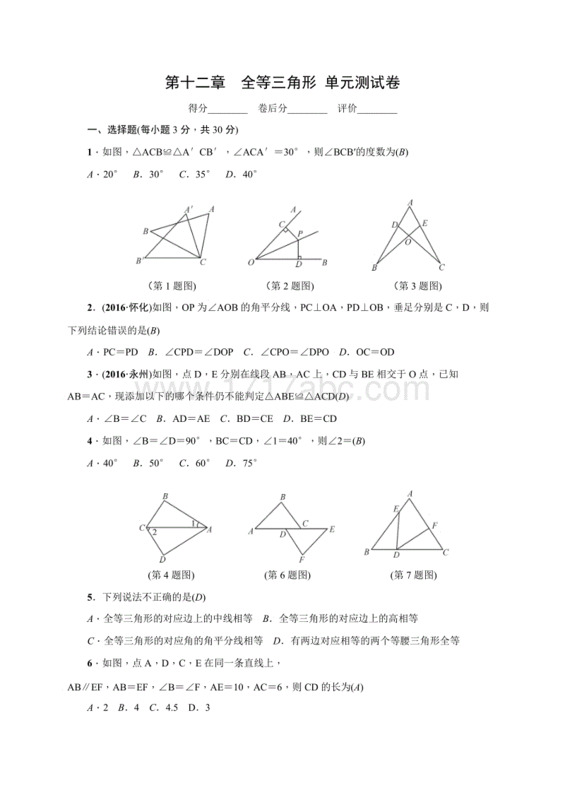 it is fun and useful D. it is easy and interesting( )48. 划线单词 “it”指代的是“______” 。A. math B. music C. Monday D. Friday ( )49. 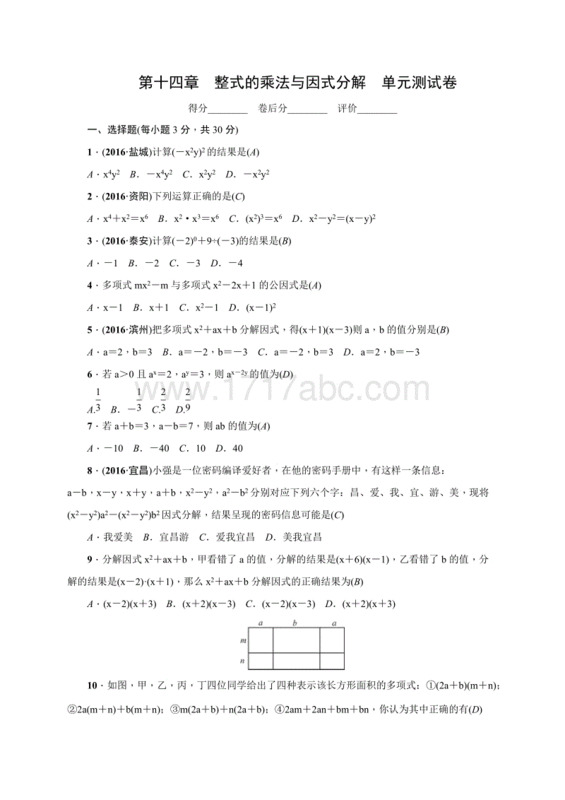 划线单词 “homework”的中文意思是“______”。A. 购物清单 B. 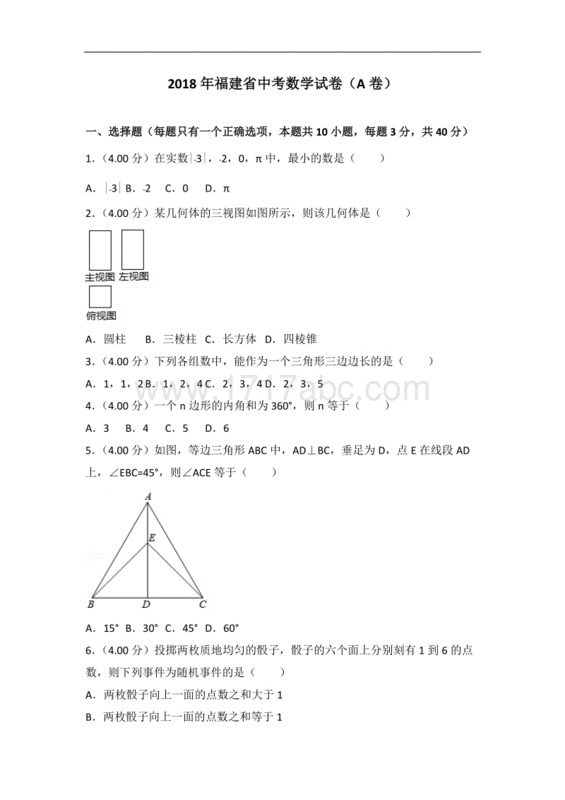 教学计划 C. 家庭作业 D. 工作总结( )50. 下列哪项陈述是正确的？A. Lucy has art on Monday.B. Friday is Lucy’s favorite day.C. Liu Ying is thirteen years old.D. Lucy goes to school five days a week.Ⅷ. 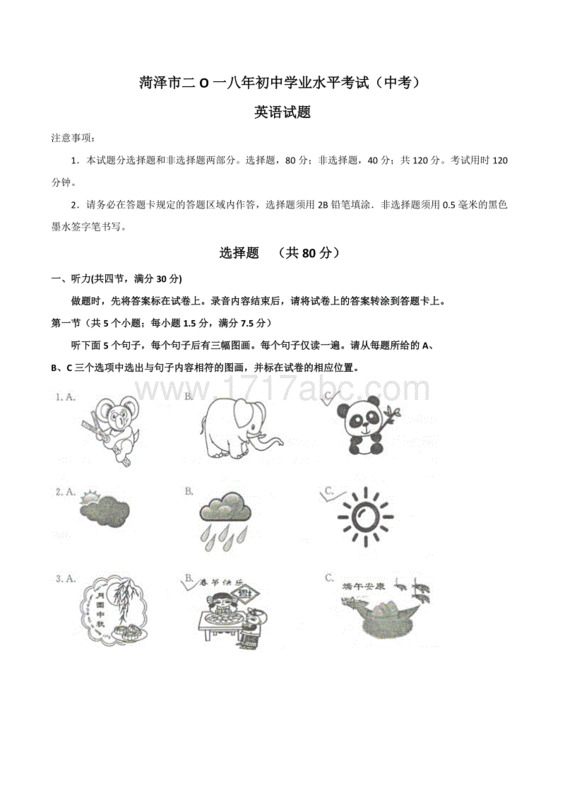 词汇运用(每小题 0.5 分，共 5 分)A)根据句意及所给汉语提示，写出句中所缺单词。51. Jack is ________(酷的 ) in his black jacket. 52. The boy’s birthday is next ________(星期六). 53. Miss Yang is our ________(地理) teacher.54. My favorite day is ________(星期四).55. I like to play ping-pong on ________(星期日) morning. B)根据句意，用括号内所给单词的适当形式填空。56. We have seven ________(subject) this term. 57. Do you think computers are ________(use)? 58. My sister’s art lesson ________(finish) at 3:30 in the afternoon. 59. Mark has six ________(lesson) every day. 60. This movie (电影) is about two ________(hour). Ⅸ. 完成句子(每小题 2 分，共 20 分)A)根据汉语意思完成英语句子，每空一词。 61. 艾丽斯最喜欢的食物是什么？ ________ is Alice’s favorite ________? 62. 我们星期三举行运动会。We have sports meet ________ ________. 63. 我妹妹喜欢体育，但我认为它很无聊。My sister likes P.E., but I ________ it’s ________. 64. 我们早饭后去图书馆。We’ll go to the ________ ________ breakfast. 65. 那个游戏真的很令人放松。That game is ________ ________.B)根据括号内的要求完成下列各题，每空一词。66. I’m very busy on Monday. (改为一般疑问句)________ ________ very busy on Monday? 67. Paul doesn’t think history is difficult. (改为同义句 )Paul thinks history ________ ________.68. Our English teacher is Mr. Black. (对划线部分提问)________ ________ your English teacher? 69. John’s birthday is in October. (对划线部分提问)________ ________ John’s birthday? 70. Dale likes art because it’s fun. (对划线部分提问)________ ________ Dale like art? Ⅹ. 书面表达(10 分)作为一名七年级学生，请你结合实际情况，并根据下面的问题提示，写一篇 60 词左右的英语短文，可适当发挥。 1. What subjects do you have this term?2. What’s your favorite subject?3. Why do you like it?4. When do you have it? 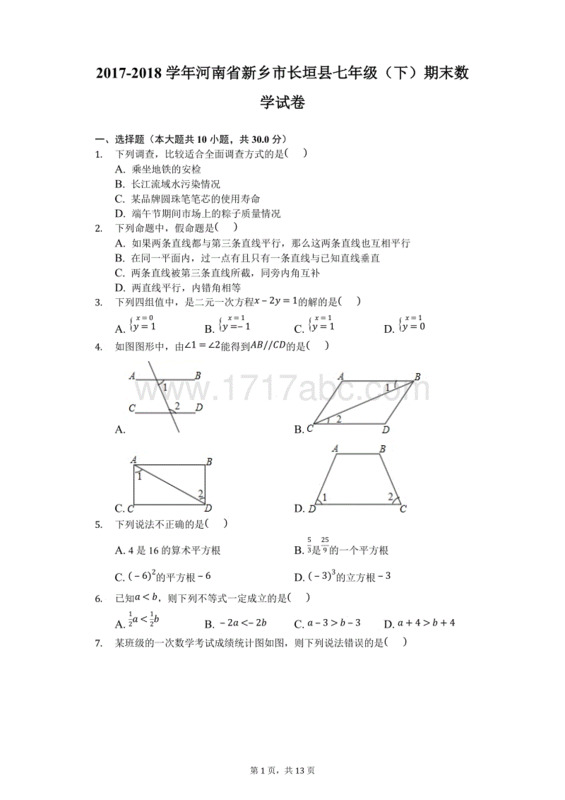 参考词汇：grade 年级____________________________ ____________________________ ____________________________ ____________________________ 参考答案Ⅳ. 16-20 BDCAA 21-25 DBBACⅤ. 26-30 ACCDB 31-35 BDCCBⅥ. 36-40 CADEBⅦ. 41-45 FTFFT 46-50 ACACDⅧ. 51. cool 52. Saturday 53. geography 54. Thursday 55. Sunday 56. subjects 57. useful 58. finishes 59. lessons 60. hoursⅨ. 61. What; food 62. on Wednesday 63. think; boring 64. library after65. really relaxing 66. Are you 67. is easy 68. Who is 69. When is 70. Why doesⅩ. One possible version:I’m a student in Grade 7. I have seven subjects this term. They’re science, math, Chinese, English, art, music and P.E. I like all my subjects, but my favorite subject is Chinese. It is useful. And my Chinese teacher Miss Huang is very nice. I have three Chinese classes every week. They are on Monday afternoon, Wednesday morning and Friday morning.